Bath Iron Works has been building naval and commercial ships since the 1890s, early on establishing a reputation for quality and innovation in maritime engineering and construction. 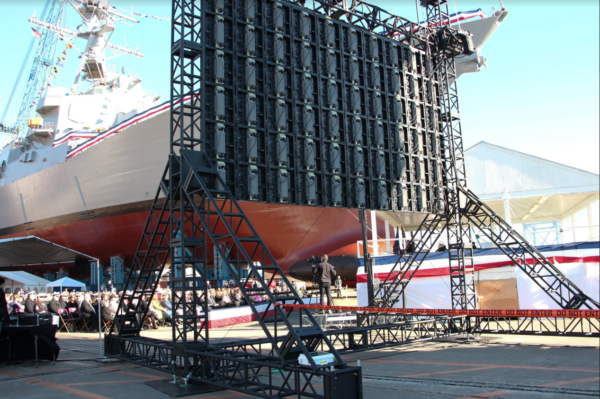 To give their ships the send-offs they deserve, Bath Iron Works has repeatedly partnered with AV Technik to help orchestrate ceremonial christenings as impressive as their ships—no easy feat. 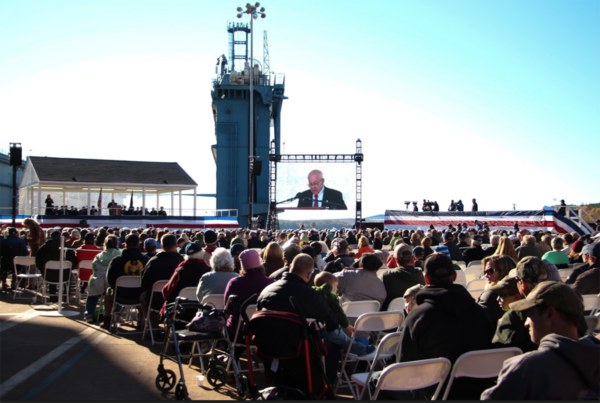 Because these events are outdoors, rain or shine, we have to account for environmental challenges such as strong winds and direct sunlight when creating video displays. By engineering an ultra-bright, outdoor LED video wall with a load- and wind-barring support structure, we’re able to eliminate the need to use unsightly ballast and guy wires. 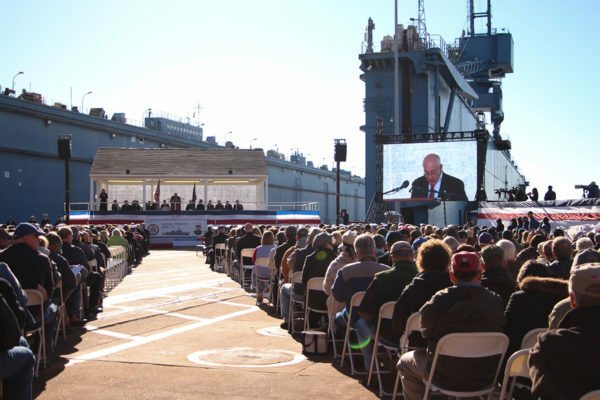 Even with the additional acoustical concern of sound reverberating off the metal ships docked in the shipyard, we’re able to make each member of an audience of over 5,000 feel like they have front row seats.